Abstract: An intermodal container transportation network is being developed between Rotterdam and several inland terminals in North West Europe: the EUROPEAN GATEWAY SERVICES (EGS) network. This network is developed and operated by the seaports of EUROPE CONTAINER TERMINALS (ECT). To use this network cost-efficiently, a centralized planning of the container transportation is required, to be operated by the seaport. 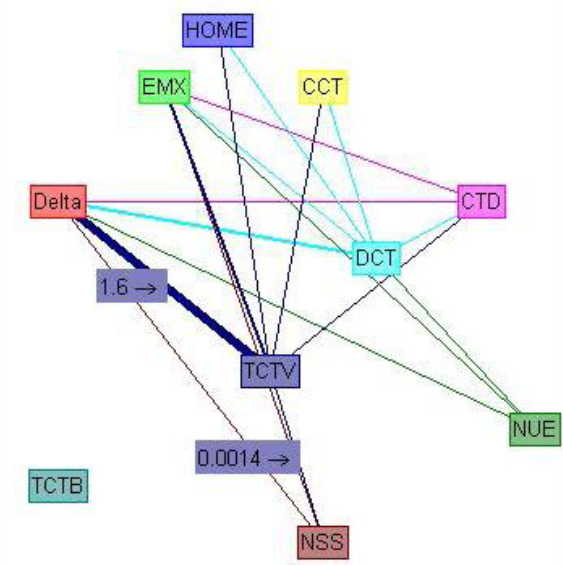 In this paper, a new mathematical model is proposed to determine the optimal service schedule between the given network terminals. The model introduces two new features to the intermodal network-planning problem. Firstly, overdue deliveries are penalized instead of prohibited. Secondly, the model combines self-operated and subcontracted slots. The model considers self-operated or subcontracted barge and rail services as well as transport by truck. In a case study of the EGS network, the benefit of using container transportation with intermediate transfers is studied. The results indicate that the proposed model is suitable for the service network design in modern intermodal container transport networks. Also, the results suggest that a combined business model for the network transport and terminals is worth investigating further, as the transit costs can be reduced with lower transfer costs. Reference: B. van Riessen, R.R. Negenborn, R. Dekker, G. Lodewijks. Service network design for an intermodal container network with flexible transit times and the possibility of using subcontracted transport. International Journal of Shipping and Transport Logistics, vol. 7, no. 4, pp. 457-478, 2015.